Experts from Emory's nationally ranked debate team, the Barkley Forum, discuss the importance of the 2012 presidential debates and the tactics both candidates need to use. Coaches for Emory University's nationally ranked debate team and its Barkley Forum Center for Debate Education say participants in the first Republican debate need to focus on connecting with the American people and less on trying to beat the current front-runner, Donald Trump. 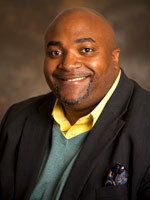 • Ed Lee is the senior director of debate in the Barkley Forum Center for Debate Education at Emory, where he has been a debate coach since 2004 and received national recognition for his work. Lee writes in a recent column for CNN.com that if Trump can "demonstrate the high standards of decorum that the audience expects from a 'real' presidential candidate, he could leave the stage as he entered — the definitive front-runner among 17 Republicans vying to be the next president of the United States." "Trump's attacks on immigrants, military veterans and the rest of the field have largely succeeded because they fit within the narrative of character and crisis that sustains the attention of the networks and their audiences," Lee writes. "Presidential debates are different. The audience expects more. They want to be informed about solutions and not simply entertained." More from Lee on CNN.com about the existing field: How GOP candidates can stay alive for debate #2. • James Roland has coached debate at Emory since 2000 and is the senior director of community outreach and engaged scholarship for the Barkley Forum Center for Debate Education. 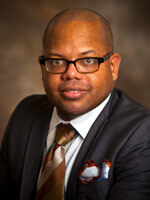 He also serves as executive director of the Atlanta Urban Debate League. "Rarely is it a good strategy to make assumptions and put people in a box, and this especially holds true for Trump. He is not a politician, but an entertainer," Roland says. "As a result, he is willing to defy political norms in pursuit of the admiration and attention that comes from a quick one liner or 'telling it like it is.' His opponents should not forget this fact. They too must be focused on being open, accessible, and engaging to those watching." "Stop thinking about it being a debate, and see it as a conversation with American people," Roland says. "Be the person in the room that others want to come and talk to and hear what you have to say."